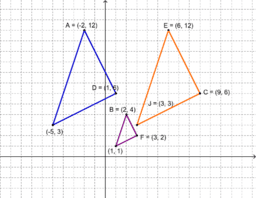 Each page has an independent triangle (pre-image) and two dependent triangles (images). 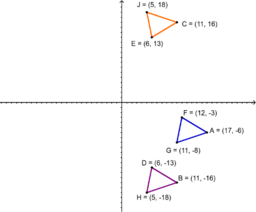 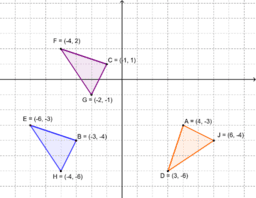 Determine which triangle is the independent triangle, and name the coordinate rules that map the independent triangle onto the dependent triangles. 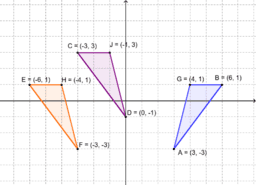 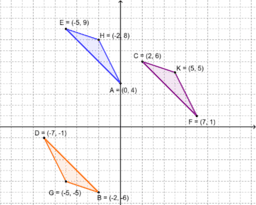 Use a composition of transformations.